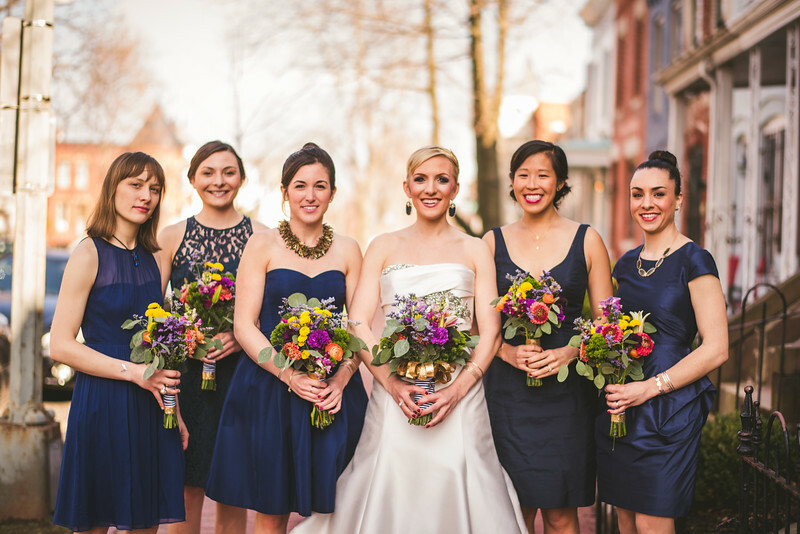 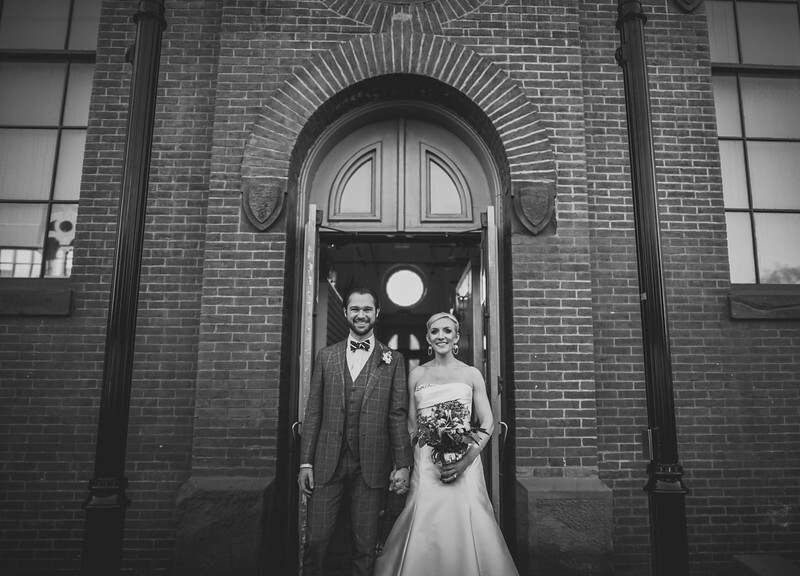 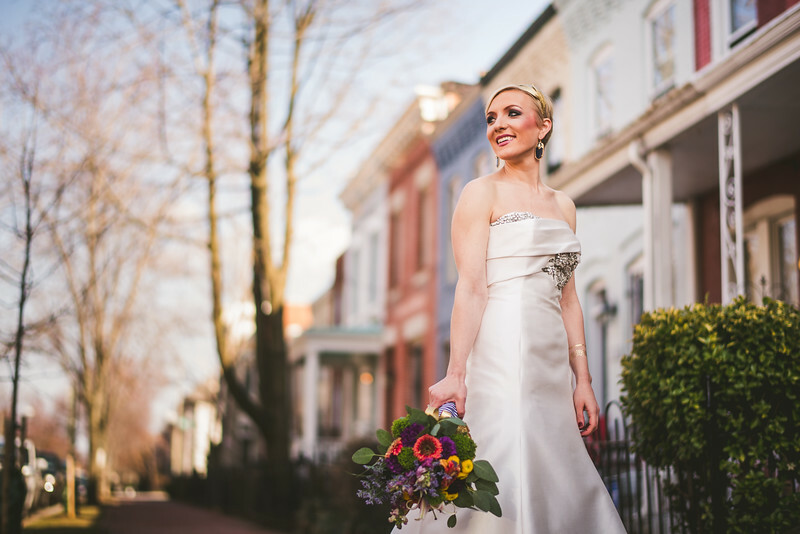 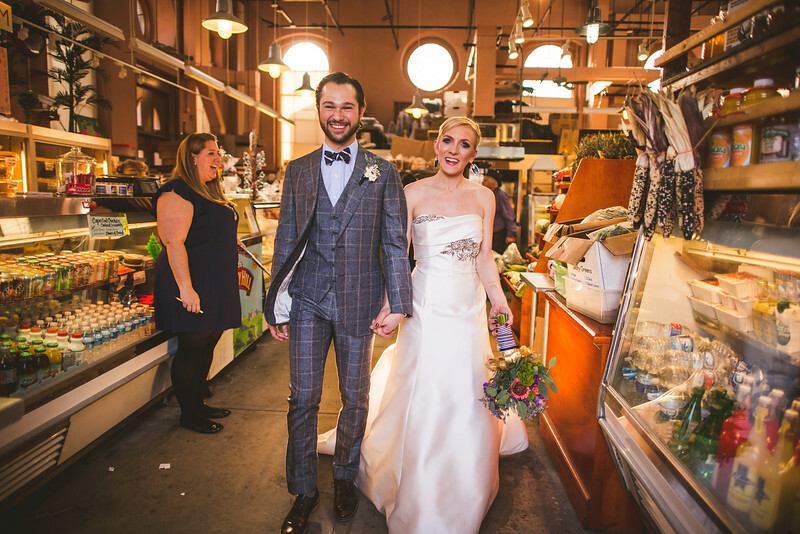 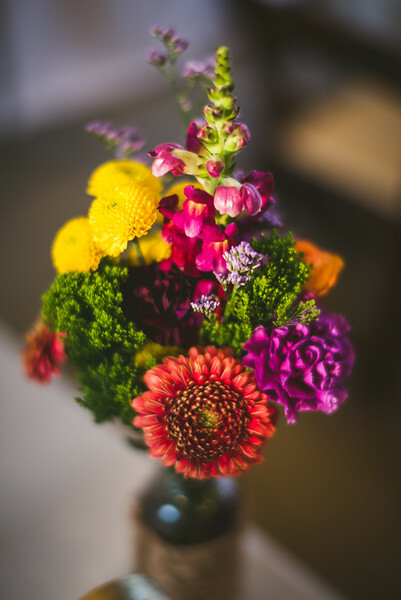 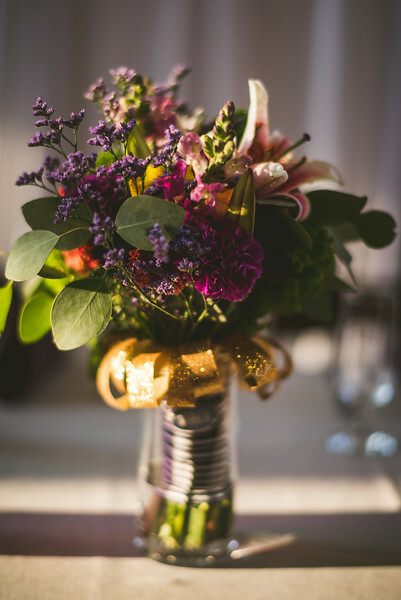 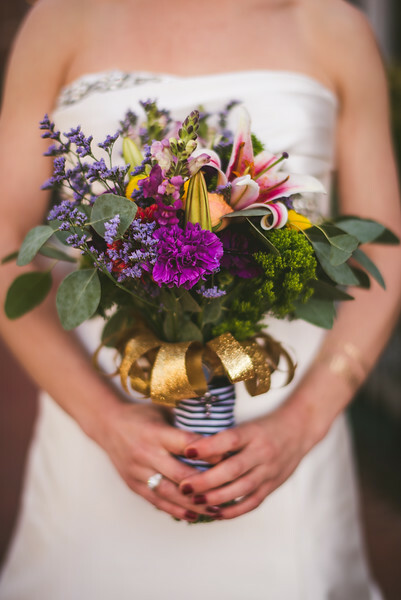 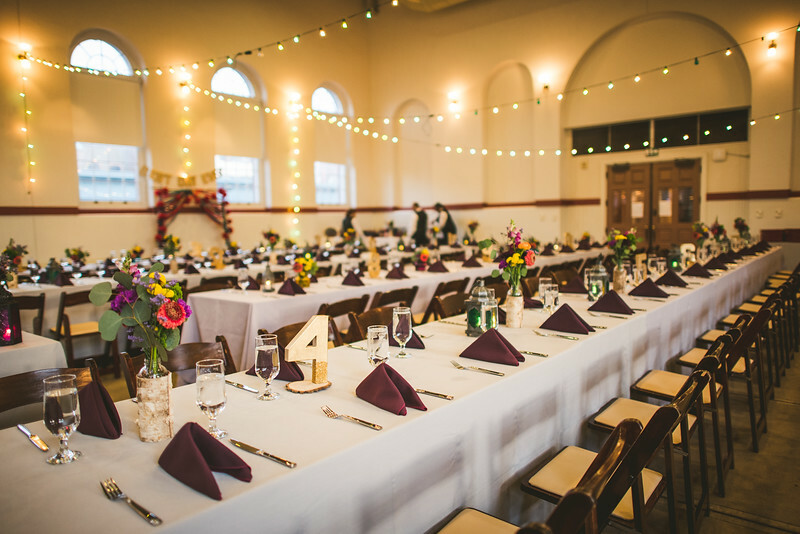 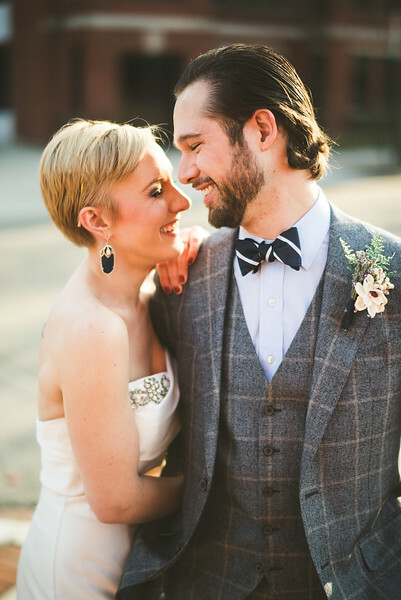 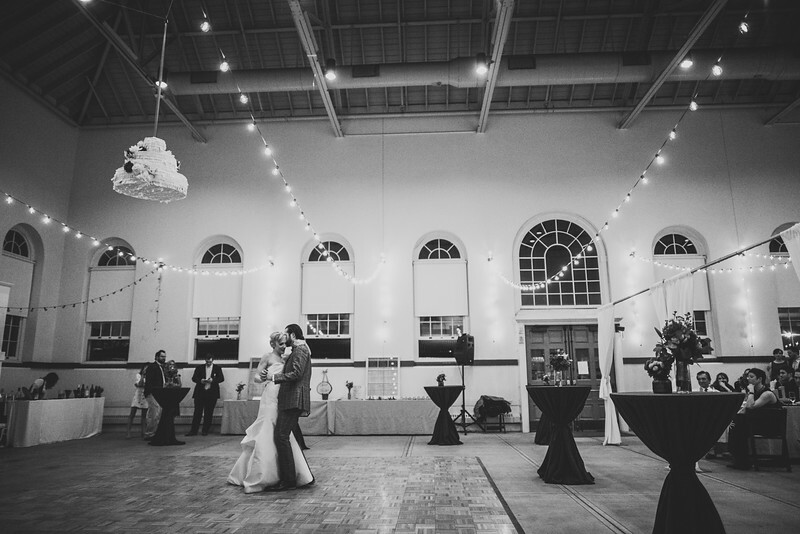 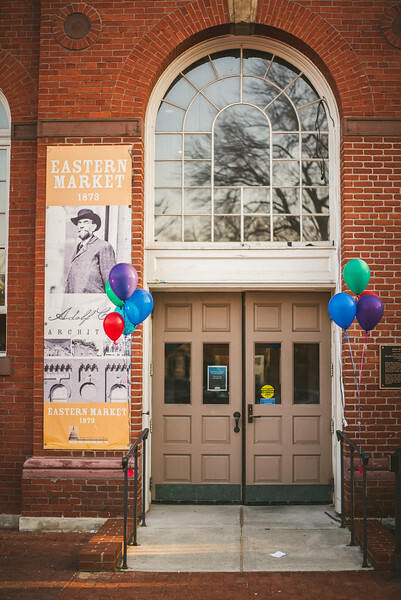 Alicia & Chris were married at Eastern Market in the heart of Washington, DC on a gorgeous Spring-like day in March! 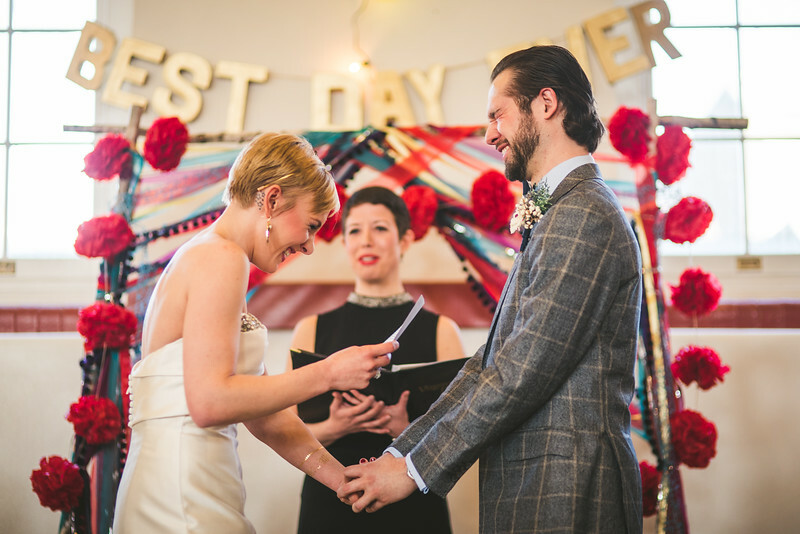 Though their wedding was a few months ago, it was such an incredible, celebratory, unique, and joy-filled day that is so memorable. 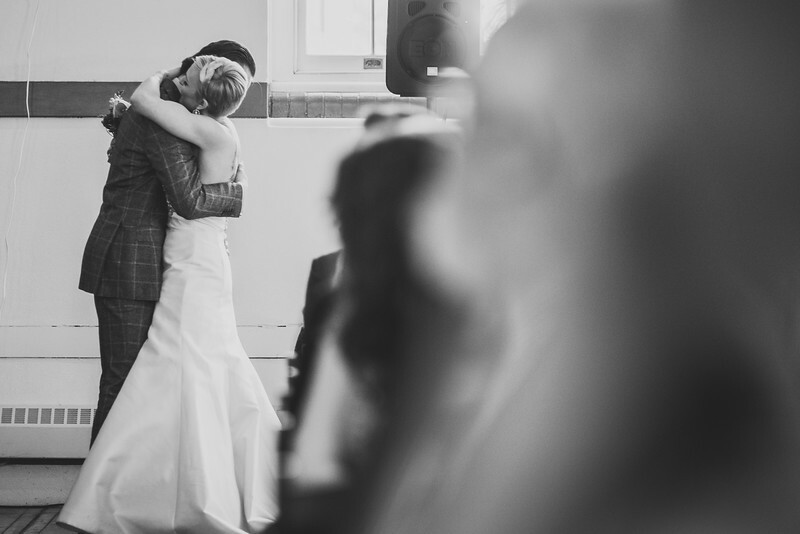 Alicia and Chris are two wonderful people, and their love for one another is inspiring and so genuine. 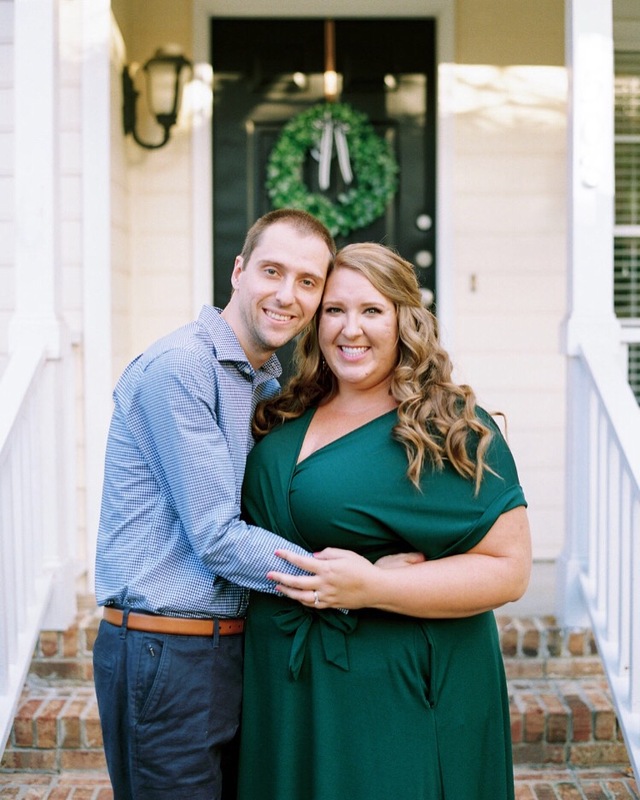 I’d never met either of them before they hired me to be their wedding planner, though Alicia and I graduated from UNC together, and I truly loved getting to know these two during their engagement. 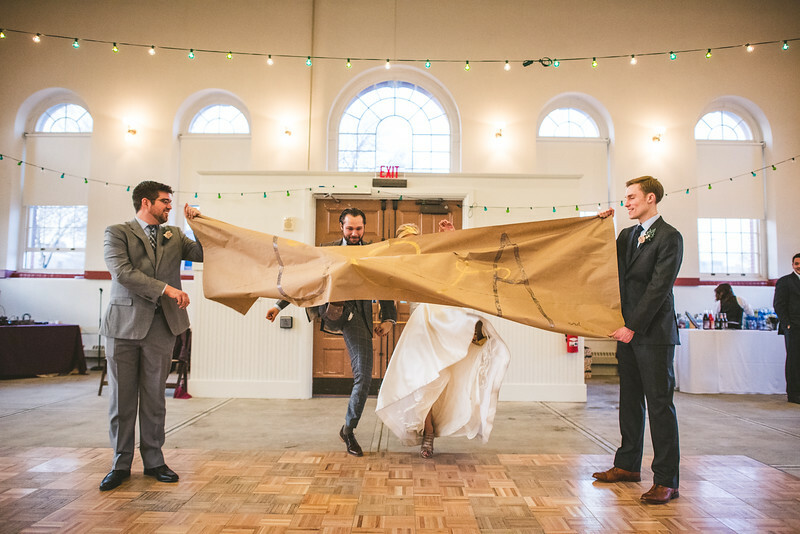 I love how excited and involved Alicia was in the planning and decor for their wedding, and we really bonded over a love for gold glitter everything! 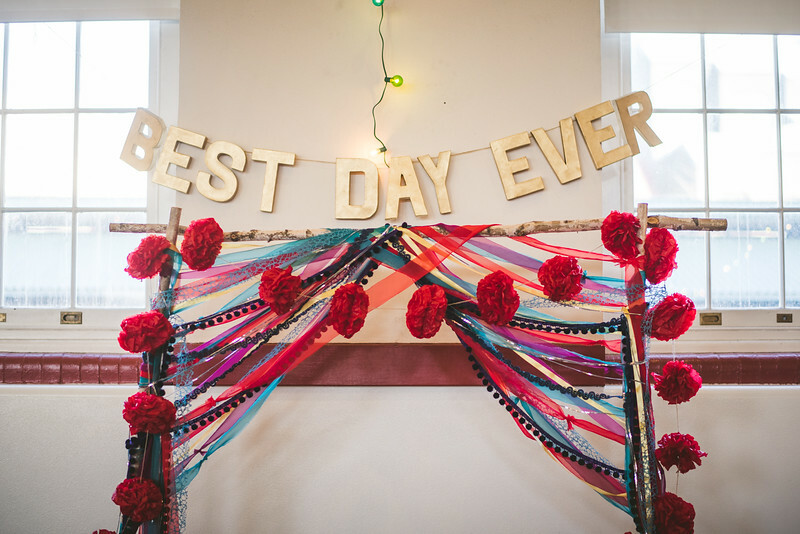 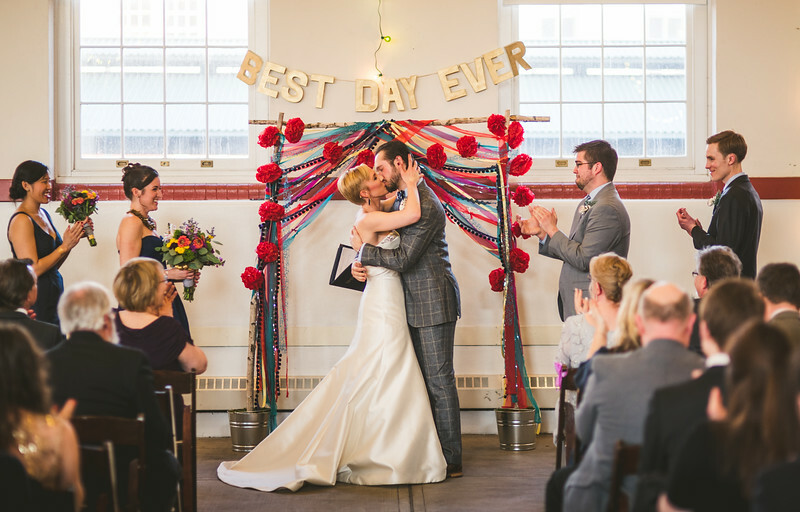 Some of my favorite moments and highlights of Alicia and Chris’ wedding day: the “best day ever” sign over the ceremony ribbon arch (made by Alicia herself! 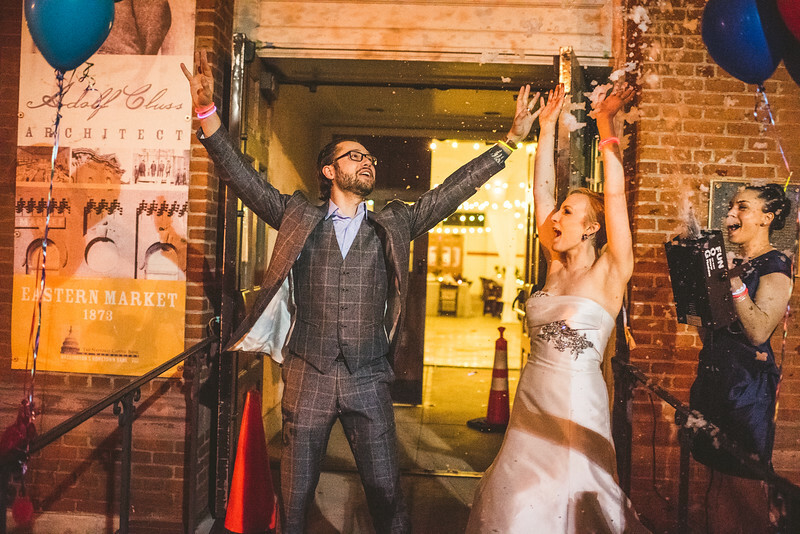 ), finally utilizing Eastern Market for the ceremony and reception, the sunny, warm March weather, the intense + raw joy and emotion as Chris saw Alicia for the first time, the epic group selflie at the end of the ceremony, Chris ripping his pants as he high-kicked through the banner during their introduction as husband & wife, the brick oven pizzas + gelato cart onsite, all of the love their family and friends surrounded them with, cheering for UNC in the middle of March Madness, the pinata, and a pretty epic snow machine exit! 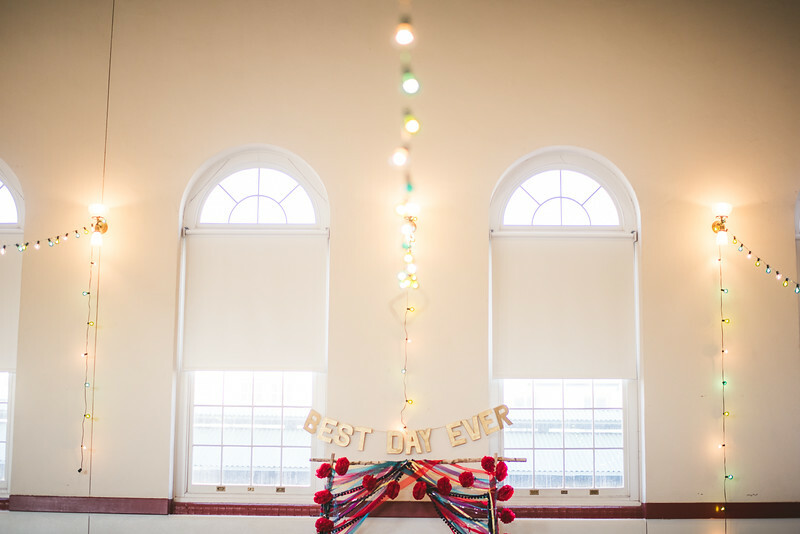 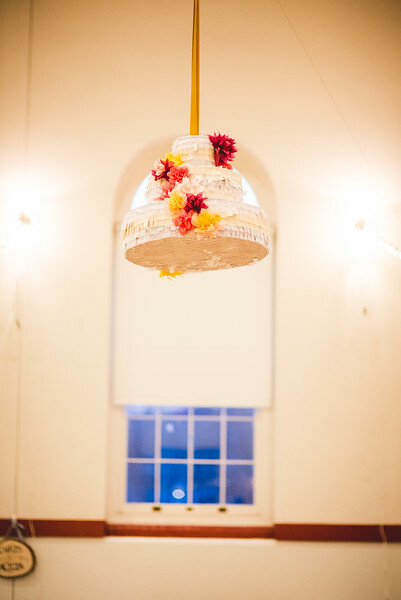 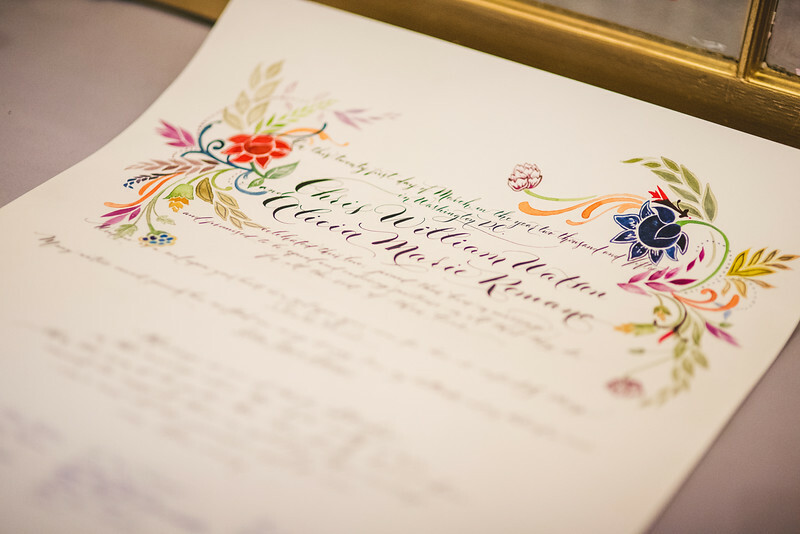 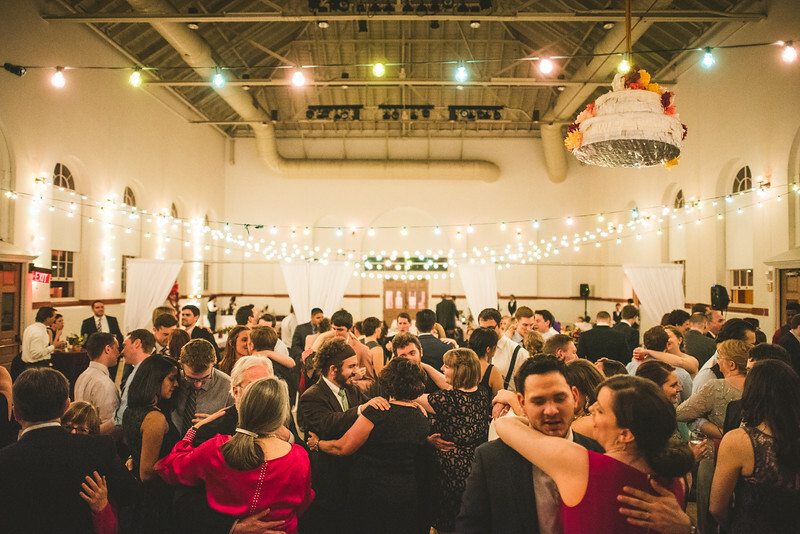 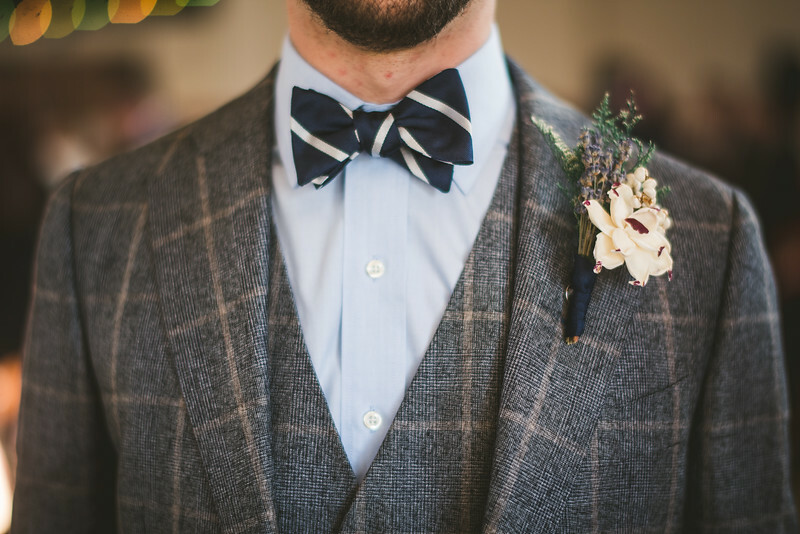 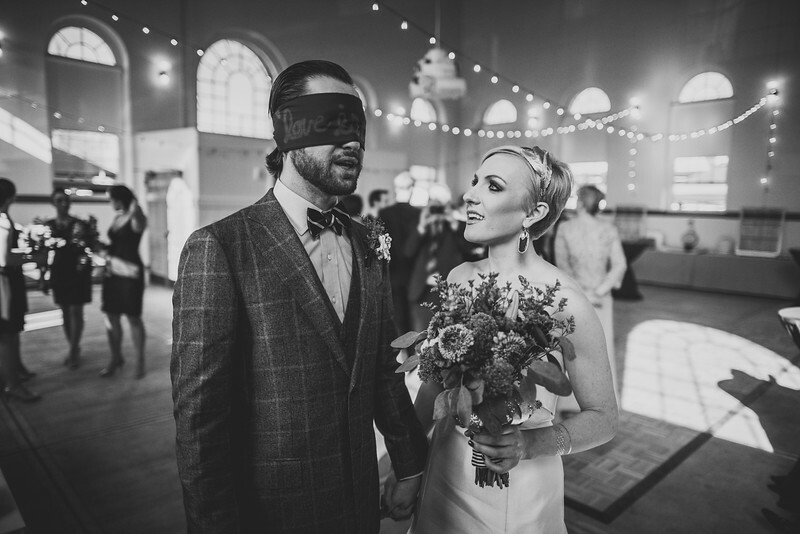 As you can tell, this wedding was filled with so many personalized, meaningful, and just plain FUN touches. 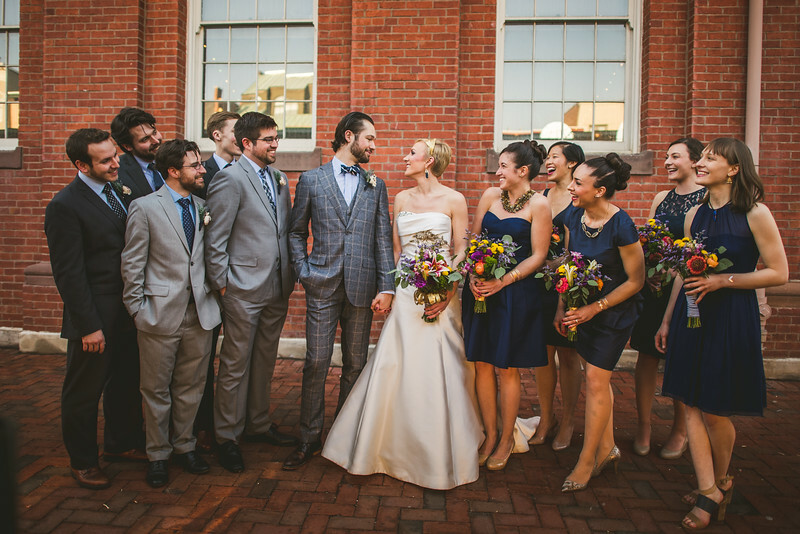 Alicia and Chris really celebrated their love and the family & friends who joined them on this day.